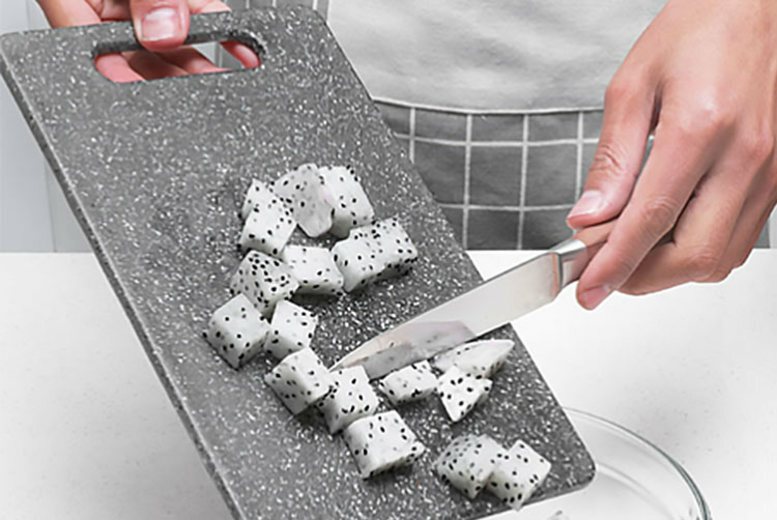 Get a handy chopping board! Made of durable plastic. With a stylish marble effect. Dishwasher safe. A must-have addition to any kitchen! Measures 14.1” x 11”.